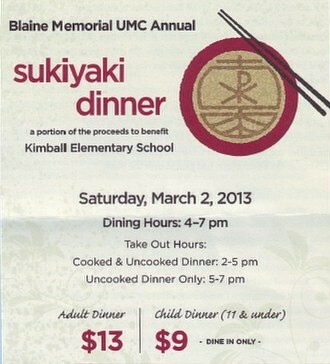 Saturday afternoon and evening, March 2, Beacon Hill neighbors are invited to Blaine Memorial United Methodist Church at 3001 24th Ave. S. for their annual Sukiyaki Dinner. A portion of this year’s proceeds will benefit Kimball Elementary School in North Beacon Hill. Dining hours are 4 to 7 p.m. in the church’s Lee Activity Center. Take out is also available; cooked and uncooked take out dinners are available from 2 to 5 p.m., and uncooked take out dinners from 5 to 7 p.m. 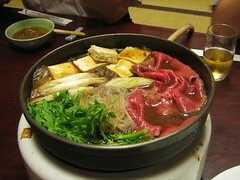 Adult dinners are $13, and kids 11 and under can eat for $9 (dine-in only). Blaine Memorial United Methodist Church at 3001 24th Ave. S. invites the community to Seattle Mochitsuki 2012 on Saturday, December 29 from 10 a.m. to 3 p.m. Mochitsuki is a Japanese tradition of preparing mochi (餅, pounded rice cakes), which is a vital part of the New Year’s Day celebration. Making mochi is a lengthy and strenuous process, but it’s also a time for socializing with friends and family. 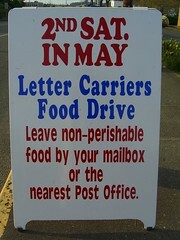 The event is free (except for the food truck at the site) and open to all ages. Besides hands-on mochi making, there will also be taiko (Japanese drumming) performances, kids’ activities, samples, and a display of historic mochi-making tools. Mochi made during the Mochitsuki will be rolled into bite-size pieces and sold. Due to the strenuous 24-hour labor involved with making mochi, it will only be available through preorder through December 25 at the website or by calling 206-568-7114. One dozen mochi are $6, and a half-dozen are $3. 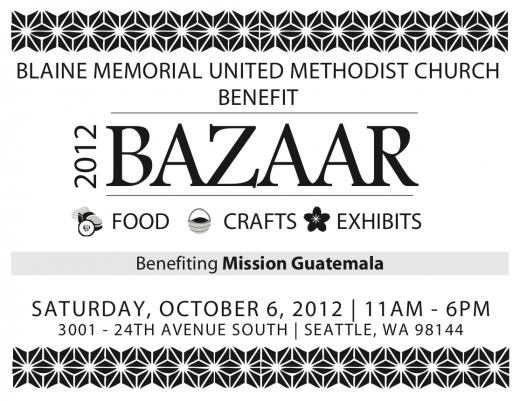 The Blaine Memorial United Methodist Church is holding their annual Benefit Bazaar this Saturday, October 6, from 11 a.m. to 6 p.m. at the church, 3001 24th Ave. S.
The event will feature food, crafts, and exhibits, and part of the proceeds will benefit Mission of Guatemala. 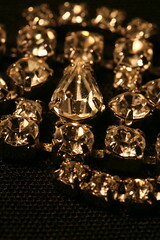 Bling like this may await you at Goodwill this weekend. Photo by Rhonda Johnson -- thanks! Beacon Hill’s nearest big clothing store is probably, sad to say, Goodwill. But there are treasures to be found there, particularly this weekend, when they’ll host the annual Glitter Sale with formal wear, jewelry, and vintage clothing. 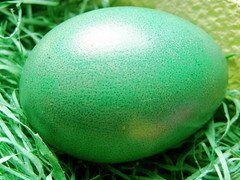 The event even has a blog, so you can see what cool stuff will be there.